There are some large, unreached people groups in the north of Ghana. They have been resistant to various attempts by missionaries and churches to reach them with the Gospel. In recent years however, small congregations have started springing up here and there. These people groups have low education and literacy rates coupled with high poverty, which is quite a contrast to the southern parts of Ghana. 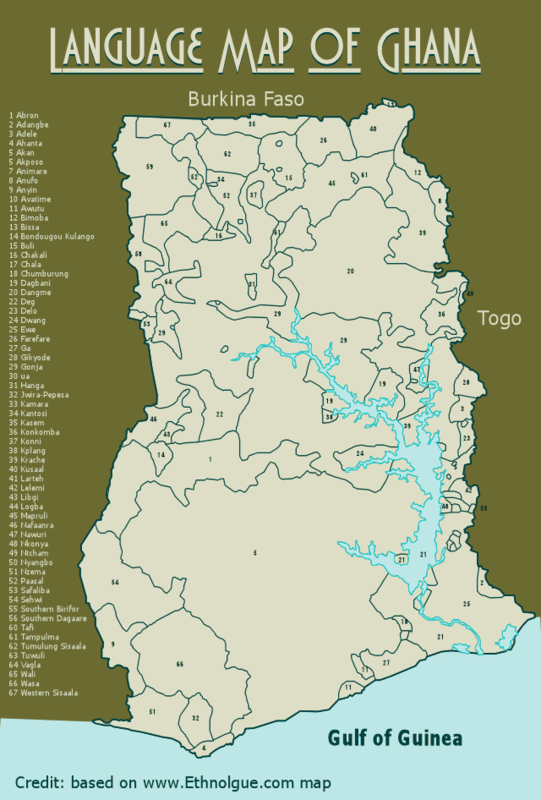 A number of Ghanaian churches have outreach in the north. They have have had modest success in evangelism and church planting. 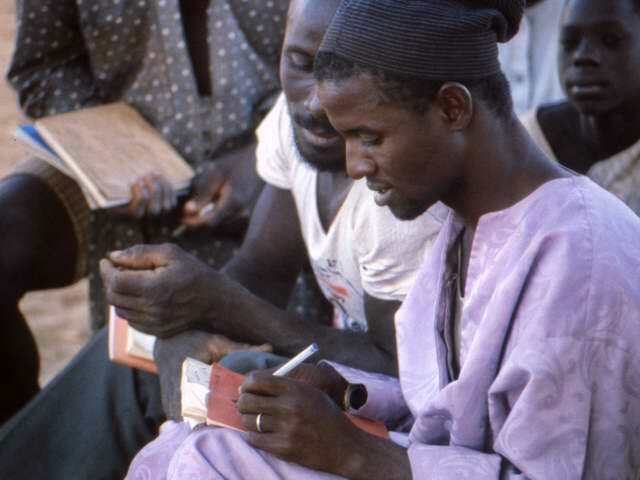 As Bibles were translated into the languages, some of them began literacy programs for members of their churches so that the Bibles could be used. They funneled money from their churches in the south for to support the literacy effort. Literacy has had effects no one really expected, and those effects have been so big that two of the churches have changed their strategy for growing their churches in the north. Keep in mind that most of the rural Christians were poor, subsistence farmers with little or no education. Prior to learning to read, their only participation in church was to sit and listen. Neither they nor church leaders thought that they had any role to play. When church leaders organized literacy classes, their hope was that these believers would be able to grow in faith through reading their Bibles. That happened, but much, much more. Some of the Christians who attended literacy classes started seriously reading the Bibles in their languages. I’m not talking about reading a few verses a day. One man told me how he read the New Testament clear through 5 or 6 times in the month following the dedication. Where the whole Bible has been translated, some of those previously uneducated and illiterate peasant farmers used their newly acquired literacy skills to read their Bibles through multiple times in short order and then to continue reading it through every few months. They became known in their communities as Bible experts. Literacy took them way beyond being able to grow in their personal faith – they became a faith resource for others. People came to them asking questions about the Bible and about Christianity. They started teaching Bible and Sunday school classes in their language. Some became lay preachers in their churches. A few have weekly FM radio broadcasts in which they explain the Bible or have a call-in segment where listeners can ask questions. In some cases, clerics from other religions come and ask them questions. Not that long ago, these local Bible experts were simple pew sitters. 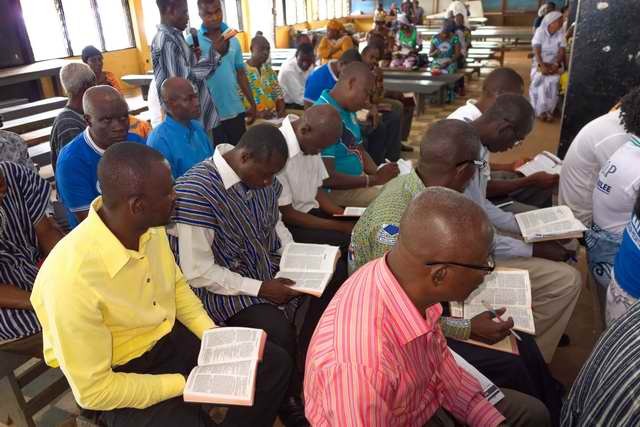 Churches have realized that they need to recognize these lay preachers and include them in their pastoral staff, both because that seemed reasonable and because they are more effective than the more educated pastors sent to the north from other parts of Ghana who have to learn the languages. But these newly-literate lay preachers have provoked yet another change that goes way beyond the church to affect their whole community. Before, many people from northern Ghana considered that Christianity was not a religion them. They thought that Christianity was the religion for the more educated peoples of the south of Ghana. But now the local lay preacher is from a family that has lived in the community since before anyone can remember, is widely respected, and preaches and teaches in the language of the community. Faced with that, people change their mind about his religion being only for people from somewhere else. Bible translation and literacy for believers is radically altering the perceptions about Christianity, they are changing it from being generally considered a foreign import to something that is becoming an accepted part of the community – an understandable and acceptable choice. This hasn’t happened everywhere yet. There are still communities where the churches have not organized literacy classes. There, Christianity remains a religion for others. This entry was posted in Bible impact, Bible translation, Faith now, Ghana, Heart language, Literacy and tagged unreached. Bookmark the permalink. Ed, last night we went to the Wycliffe Associates banquet. Don Richardson was the speaker. He gave several illustrations of cultures with keys to the gospel. In your time in Africa, have you found any? There are LOTS! Every time translators work through the translation of key theological words like salvation, grace or redemption; we translators find such keys. Most of the time they do result in the kind of dramatic story that is The Peace Child, but they might be even more effective. For example, traditional religion throughout Africa includes the belief in one, almighty creator God. Christianity has exploded throughout that area with some countries, like Congo, having 90%+ of the population as Christians. But in Asia where polytheism is widespread (or religions without much of a concept of God or gods), Christianity has grown only slowly. So the connections with the biggest impact might be the kind that don’t produce great stories for Western Christians. Another example is the Akan people of Ghana have an annual purification ritual and festival. It’s one of their most important festivals and rituals. The translators used the same word used to name the purification ritual in Hebrews 9:13, to show that such rites and festivals cannot bring the kind of purification Christ can. https://www.biblegateway.com/passage/?search=Hebrews+9:12-14&version=ESV That doesn’t make for a great story, but it is very effective in teaching and discipleship.